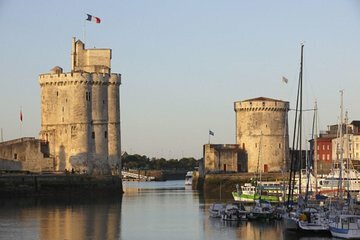 The Rochelle Towers are medieval landmarks overlooking the Atlantic Ocean, three of France’s most celebrated sights. Long waits to enter put a damper on most visits, but you’ll breeze past the crowds with these skip-the-line admission tickets, which guarantee direct access. Once you’re inside, you can spend your extra time exploring the centuries-old fortifications, including the Tour de la Lanterne, the oldest lighthouse on the Atlantic coast.